Charles Sturt University received funding from the Albury Conservation Company as part of the Community Grants Program (2012/13) to undertake an Honours project lead by Dr Peter Spooner and Dr Alison Matthews. Mitchell Francis was the successful applicant undertook the research project, eventually receiving first class honours for his effort. The project focussed on a subset of Hollow-bearing Eucalyptus trees in both urban and non-urban parts of Thurgoona / Wirlinga, and investigated the effects of urbanisation (e.g. noise, light and other urban factors) on Squirrel Glider abundance. 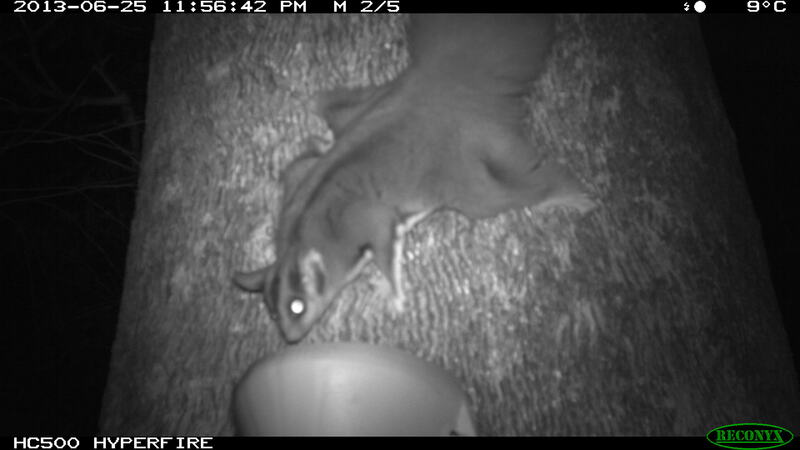 Squirrel Glider surveys using infra-red motion sensing cameras and baiting stations were conducted during June 2013. The project findings will help build our knowledge of this important local threatened species.